With more than half of the world’s population living in urban areas, the real estate industry has become increasingly vital to how cities operate. With this in mind, a new collaboration spanning four schools across Fordham will revitalize the way real estate education is delivered at the University. 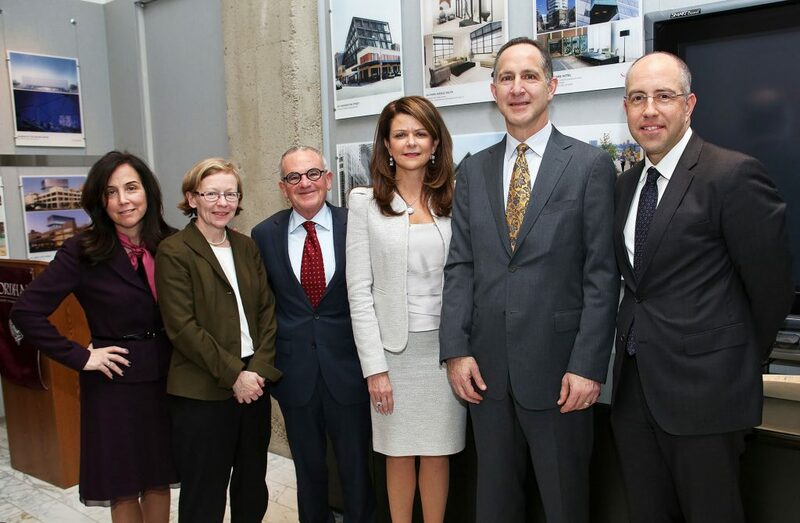 On March 7, the Fordham Initiative in Real Estate hosted its inaugural event featuring MaryAnne Gilmartin, president and CEO of Forest City Ratner Companies. Read a transcript of Gilmartin’s lecture here. The interdisciplinary Fordham Initiative in Real Estate (FIRE) brings together faculty and administrators from the Gabelli School of Business, Fordham Law School, and Fordham Colleges at Rose Hill and at Lincoln Center to bolster their collective efforts to prepare students for careers in real estate. “Real estate is one of the largest industries in the city and in the country overall,” said Nestor Davidson, associate dean for academic affairs at the law school and co-director of the Fordham Urban Law Center. Building that very platform is at the heart of FIRE, Davidson said. Its first objective has been to spotlight each school’s approach to substantive and pedagogical questions concerning real estate, and to examine how these approaches might formulate a holistic real estate education. (From left) Donna Rapaccioli, dean of the Gabelli School of Business; Maura Mast, dean of Fordham College at Rose Hill; Stephen Freedman, provost; MaryAnne Gilmartin, FCRH ’86; Kevin Mirabile, clinical associate professor of finance and business economics; and Nestor Davidson, associate dean for academic affairs at the law school. Second, FIRE has been reaching out to alumni from law, business, and the humanities who work in real estate to serve as resources and mentors for current Fordham students seeking careers in the industry. 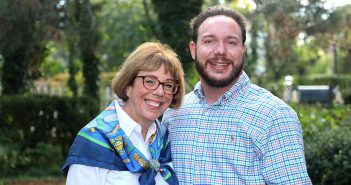 The alumni will also benefit from the initiative, said Kevin Mirabile, DPS, clinical assistant professor of finance and business economics at the Gabelli School. Ultimately, the members of FIRE hope to establish executive education opportunities for working professionals. These opportunities would be cross-disciplinary—much the same as the real estate industry itself. “Once alumni graduate from their respective schools, the lines get blurred in terms of the actual work they do,” Mirabile said. “Often, a person in this field is called upon to have some legal knowledge, an understanding of urban economy, of accounting, and more. “There’s a whole universe of people who go on to operate in a field outside of their original academic discipline or who need to manage people across disciplines. 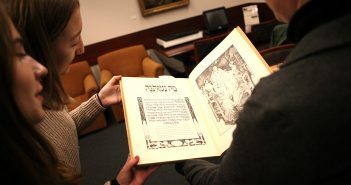 We think that’s an audience that would like to come back to Fordham for lifelong learning opportunities,” he said. FIRE’s goals to offer continuing education and to align the University’s diverse real estate pedagogies are pertinent as the world becomes increasingly urbanized, said Rosemary Wakeman, PhD, director of the urban studies program. Real estate professionals will need to be prepared to grapple with these manifold challenges. “It’s not just the number of people coming into cities, but what happens to the building and real estate industries under the pressures of housing demands, gentrification, commercial development,” Wakeman said.